What if we could find the courage to define ourselves by our goals, instead of our weaknesses? What if we could remember the vitality that arises from internally motivated hard work to keep growing, challenging, and improving ourselves? What if we could never give up on making ourselves the best version of ourselves we can possibly be? What if we could remember the feeling of anything being possible, our whole lives open in front of us? I often reflect that my university education was absolutely the best gift my family ever gave me, outside of life itself. They traded needs and wants in order to do it, and I took that trade to heart and worked also at claiming outside scholarships to help offset books and always working—at one point working three paid positions while keeping up units. Yet as much as my four years at Stanford meant to me back then, my university and my education grow more significant to me with each passing year. In the 11.5 years since I graduated (whoa! what?? 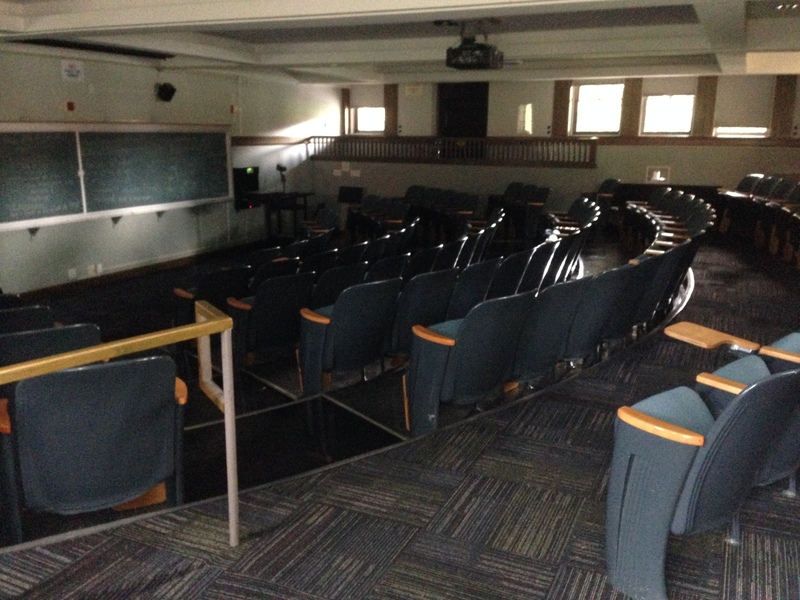 ), I have returned several times to campus, mainly for visits and once for a work-related Advanced Placement conference. At every phase of my life, Stanford has meant something different to me. It has been a constant in the narrative I am writing, a setting to which I return to reflect and to measure myself. If there were consistent themes in all of my classes, it was the necessity to keep challenging ourselves, to keep asking the meaningful questions, to let our minds play fearlessly with this universe and what we might find to be true, or not true. When I forget who I am, I remember this place. When I grow weary or confused, I remember this place. When I wonder if I am doing enough to make my life meaningful, I remember this place. When I wonder about humanity, I remember this place. When I think about happiness, I think about Stanford and the lessons I learned in and out of my classes there. Whatever life brings, my education is mine. Whatever twists and turns come my way, I can dig down and find Stanford inside of me: the hard work, the quest for knowledge, and the mirth that arises from coming up against a challenge and finding the way through it. Stanford, I am not sure I have always lived up to you since 2002. I did challenge myself in certain ways, but some of my ferocious need to better myself waned a bit here and there, as I explained a bit a few weeks ago in this blog when I discussed contentment vs. eagerness. It is a fierce need for self-betterment that can only come from within. So. Shortly after running the Spartan with one of my best friends, Steve, we revisited the idea of playing this crazy (and fun! really fun!) real escape game in Japantown in San Francisco called Escape from the Mysterious Room. I will blog about that experience later, in order to keep this entry more focused, but most of our high school best friends of 20+ years decided to form a team and play this weekend. In an extraordinary show of nerdiness, four of us drove up to the bay with our spouses and kiddos to play this game for 1.5 hours on Saturday. It is one of the most random things I have ever done—a whirlwind and epic San Francisco trip to play a nerdy riddle and puzzle-solving game—but it also makes perfect sense, too. 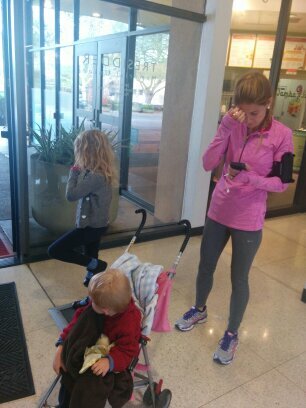 When I knew we’d be near Stanford, it wasn’t long before I knew: this is my chance to run it. Road trip or no, running is so much a part of my lifestyle at this point that I can’t imagine taking any trip in which running could not occur. Stanford would be a perfect place to get my mileage in on Friday. More than that, running my alma mater would be incredibly meaningful….so much so that I kept getting teary-eyed thinking about it all week. As an undergrad, I wasn’t particularly healthy. Certainly not physically… And I also lived with self-doubt, punctuated by some really triumphant moments in classes and feedback from professors that periodically made me realize that, yeah, I belonged there…maybe. It has only been in my post-graduation life that I have seen in myself what the admissions committee must have seen and realized that I had a right to have a spot there, experiencing that quality of learning and teaching and being. But at the same time, I feel now that I have to keep earning it, that spot. There’s a sense of responsibility I feel as a result of that education, both to myself and to the world. This time, I knew I would be returning in probably the healthiest form I have ever been, stepping on that campus. I visited last year, already in charge of my nutrition and already a three-day-a-week runner. But it was shortly after that visit that I decided to up the ante and start setting performance goals for myself in my sport. I decided to conquer my first half-marathon, to work hard to improve my times and distances for the sake of improvement/hard work. In setting those goals, I certainly became physically healthier; yet I am also so much mentally stronger. I know myself in ways I never have known myself before becoming a serious runner. I would be returning to the campus as the person I wish I would have fully been when I was an undergrad there. And I would run. 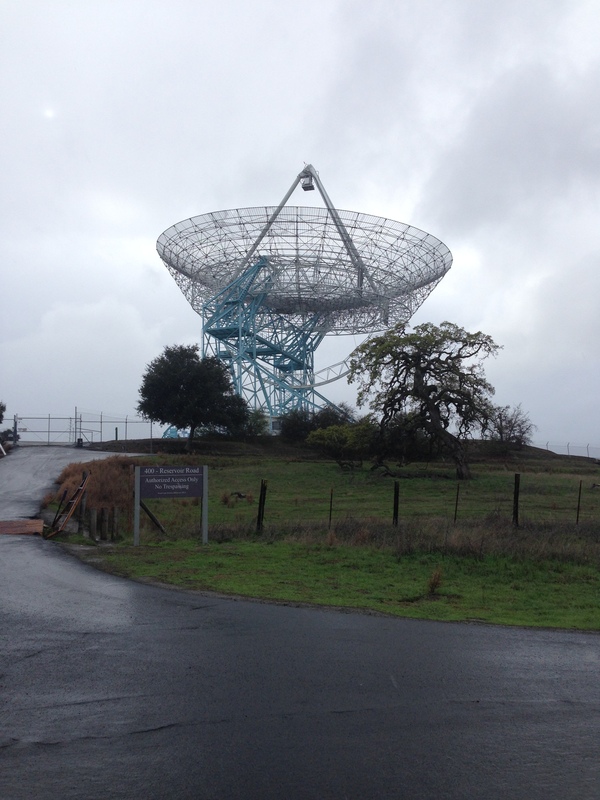 I chose to run one of the most difficult routes of which I could think, also a route that is the epitome of a run for a Stanford runner: the route to the Dish. I had walked it twice, but running it is different. The Stanford Running Club does this route. I knew also, from experience, that running this place would connect me to it in the intimate and special way that only running somewhere can do. I would know my campus in a new way, after this run. I would leave a different part of myself there. I would be returning to Stanford stronger, as if meeting a lifelong promise I had made with her when I accepted my admission all those years ago. Approaching Stanford on Friday afternoon, I actually had quite a nervous stomach. This was a test of sorts, sure, but moreso, this would be an extremely meaningful plot point in my life narrative. Would my legs work? (Of course, but I always worry about this before a race or before going for a PR while training). What if I can’t run well in the afternoon? (I always run in the morning). What if the route is closed due to all the rain? (Could I feel as meaningful about running some other route)? After fueling on a protein bar, I left Bill, Katie, and Eric in Tresidder to grab some lunch. The best way to describe the hill leading to the Dish is: BWHOOSH! The hill feels like it shoots straight up in several places. Of course, it really doesn’t, and perhaps I was psyching myself out a bit…but it made me feel like the Temecula hills I eat for breakfast are basically child’s play. Still, I had to coach myself up the steep hill. Usually I tell myself to “fight” or “go” or to “get up there,” but unexpectedly something else came out of my essence as I was speaking aloud to myself: “Prove it. Prove it. Prove it!” That’s the beauty of running: you usually find out something about yourself. Prove it. I had my headphones off at this point. 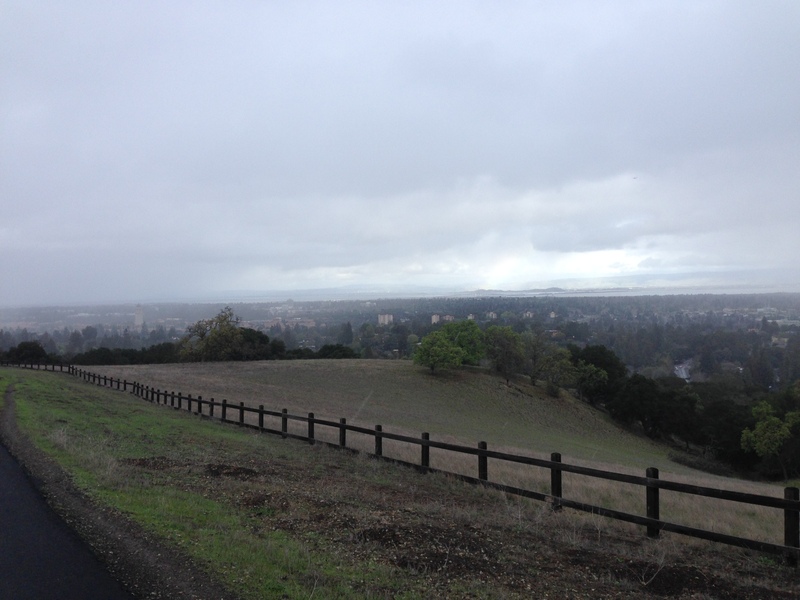 I had made a “Run Stanford” play list with several meaning-laden choices, but when it came to it, I wanted to hear everything around me, hear the peace, hear the rain, hear the birds, hear my own voice getting over fear. But what was I proving? Myself, to myself. That hard work for the sake of hard work, matters. That the most powerful motivation comes from within. That I am a stronger version of myself. That I could run a Stanford run. That I was living up to my unspoken promise. Periodically I stopped my GPS to take pictures. I don’t normally do that, and I did weigh both sides of that issue, but in the end I decided to make an exception and document the moment. 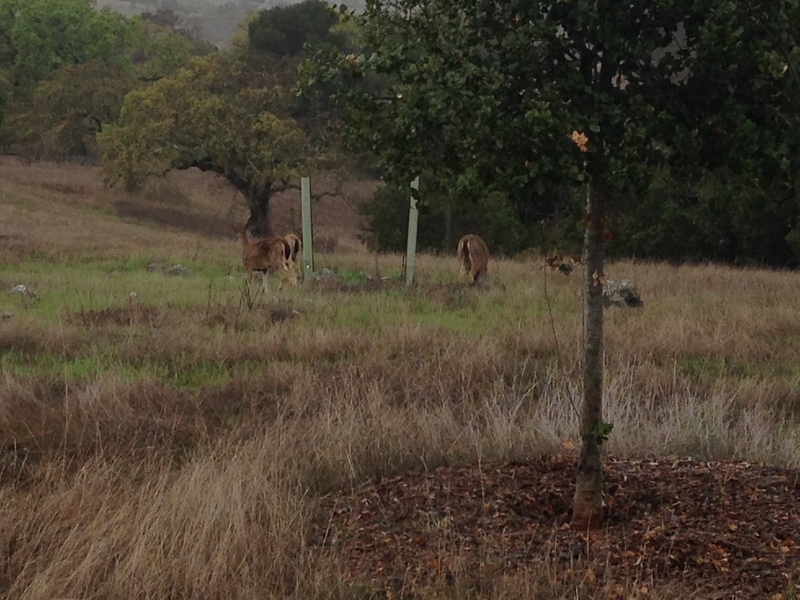 I saw deer. The rain soaked me through, but it was a peaceful and cleansing rain. I love to run in the rain since rain is such a loaded symbol in art and literature. The drops on my face connect me to the cycle of things, to nature itself. At times I felt as though I was running in a big cloud up there. And the moment I looked out at my university spread out below, I actually saw a rainbow in the sky. I exhaled another word: mine. Not that the university is mine, or that it can be no one else’s. That “mine” meant simply that my education, my experience, my sense of worth, my hard work in those classrooms, my self-discovery then and now, the promise: it’s mine, forever. On the day I graduated, my dad brought up a rock from our family property, my Grandpa’s property, in Valley Center. We had to sell that property last year, in an extremely emotional act of loss. My cousins and I grew up there, and the memories run deep. We all have a few rocks and artifacts from the land, and there is also this rock…at Stanford, in a secret location. Only a few people even know where it is. I saw it last year a few months after the sale, and that was emotional. The kiddos have seen it and touched it. Over the 11.5 years, I have left items under it, though some of the writing has not held up well. On Friday, for the first time, I ran to it. On Friday, for the first time, I returned to a piece of my grandpa’s land and to my great-grandpa’s land—just a piece, but still a piece—stronger and better. I touched this rock with healthy lungs, with a healthy heart. With legs that can run. With a mind that is disciplined. I finished my run at The Claw, and it was 7.2 miles. I actually intended to keep going a bit, but Bill happened to call to say they were all on the second floor of the bookstore. Right as I was hanging up, another runner appeared. She was an undergrad, and she asked me—get this for putting a fine ending on it—if I were part of the running club (they meet at the Claw) and was there to meet for the run. Full circle. Kind of blew my mind how the story turned out on Friday. So it was off to the bookstore. The kiddos each got a new book, and I treated myself to a running shirt with a Stanford “S” on it. Now that I have actually run there, I feel I earned the right to wear it. When I got home today after our drive, I unpacked our suitcases and did two loads of laundry and then took the shirt out for a 9.1 mile (1:07:17) spin around Temecula. The meeting of two worlds! 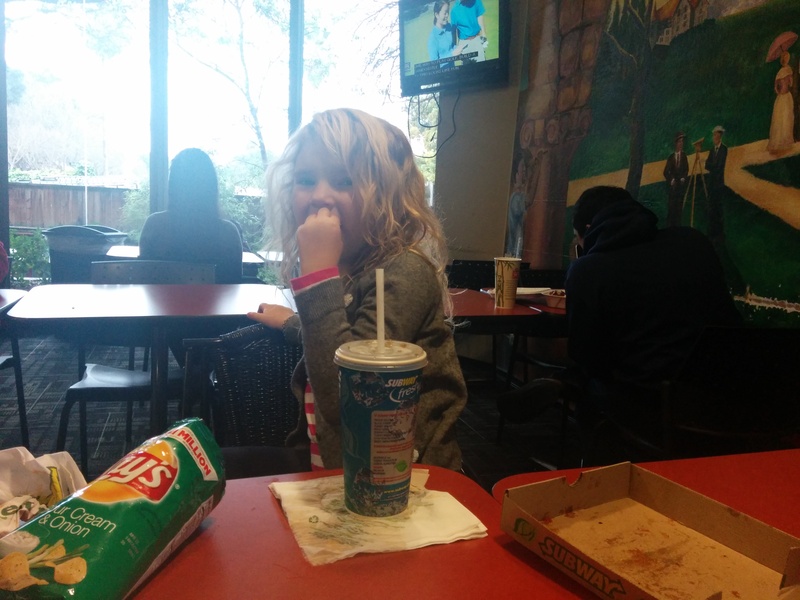 And here is a picture Bill took of Katie eating lunch in Tresidder. Looks like they had fun!